No matter where you begin in his journey, Baker Mayfield has been a lot in his budding football career. Starting in high school, Mayfield was not much of a thought. In fact, he was only a three-star recruit who was outside of the top 150 recruits in his home state of Texas. Mayfield did not take any of the three scholarships he was offered and chose to walk-on at Texas Tech. While there, Mayfield appeared in eight games and threw for over 2000 yards for the Red Raiders. Though he showed some potential over the course of that season, Mayfield found himself as the backup to Davis Webb. Mayfield left Lubbock and transferred to Norman and became an Oklahoma Sooner. He sat out the 2014 season as a result of this but ultimately became a star for this team. He capped off his collegiate career by winning the 2017 Heisman Trophy, becoming the first former walk-on to do so. Mayfield had lots of eye-opening moments that led him to this great achievement but also came with some head-scratching ones as well. Controversies like the planting of an Oklahoma flag at Buckeye Stadium or the gestures toward Kansas Jayhawks players kept Mayfield’s name in the spotlight, just not for always the right reasons. On the NFL level, a team that has been on the wrong side of public perception ever since their re-conception is the Cleveland Browns. Almost no team in major American sports has the reputation of the Browns. And that came to an apex in their 2017-2018 campaign. In a hapless effort, Cleveland became the second team since the 2008 Detroit Lions to post a 0-16 record. Due to this effort, or lack thereof, the Browns had the first overall pick in the 2018 Draft. This marked the second consecutive year that they possessed this pick, marking an important milestone in their rebuild. The Browns need a lot of help on their roster but one position they focused on early in the draft process was at quarterback. The rumor mill churned for many months about what the Browns would do with this selection. 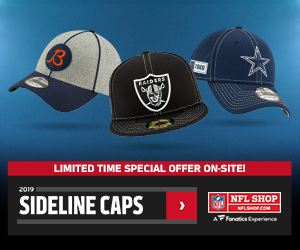 Josh Allen and Sam Darnold were reported for months to be associated with this pick but Mayfield becomes the topic of choice on draft day. He came late into the discussion but ultimately was the one selected first overall. Mayfield will bring his dynamic playmaking skills to Northern Ohio but it will be interesting to see if his energy and boldness will travel as well. But, if anything these traits are just what Cleveland needs. Throughout their overarching rebuild process, the Browns lack a real identity, at least a positive one. Mayfield will have the chance to come into this franchise and be the guy they have been searching for. Especially as the man behind center. His strengths on the field have been debated by scouts but one thing that cannot be ignored is his leadership qualities. He will be expected to lift this franchise out of the doldrums and it seems entirely possible with his qualities. This will be especially important as the Browns search for a new leader in their locker room. Former All-Pro tackle Joe Thomas has retired, leaving a void at team captain and face of the franchise. 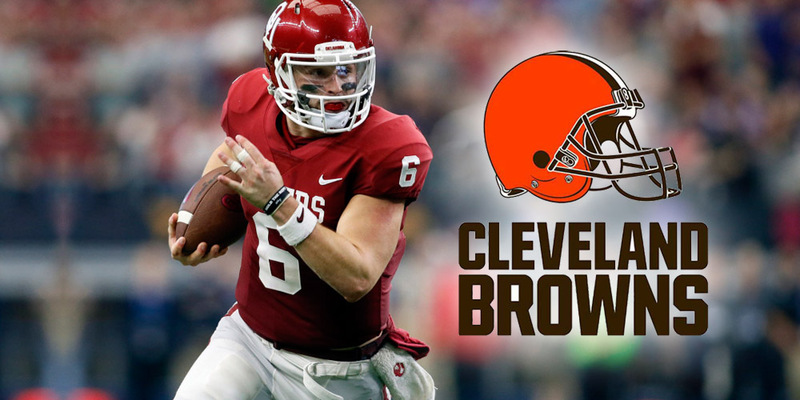 Mayfield will have the chance to come in and be just what Cleveland needs right now. Mayfield will look to be both a beginning and end for this team. He will be the end to the constant reminder of the 22 names before him and be the start of a bright future for Cleveland. While there are some questions surrounding him and the Browns, this pick was a good choice for both parties. 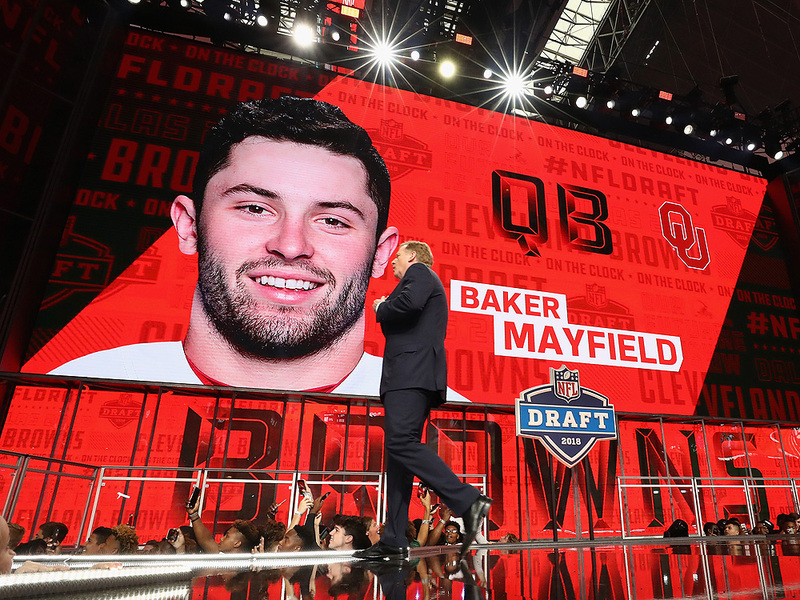 Mayfield will be the start of something new for young Cleveland Browns fans: Hope.